A Chrimbo treat for fans of Slaughterloo and Flintloque with kind permission we present the fantastic 700 miniature strong Ferach Armee, in many pictures, of Mr Kim Allman. 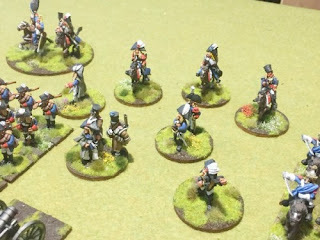 Click through to see the array of units of infantry, cavalry, gunners and as well as Elves there are Dogmen, Ogres, Bog Orcs, Todoroni and more. Forty odd pictures to enjoy. The best of the season to everyone from all of us at Alternative Armies. Nice. I really like the Dogmen. Sometimes I get confused trying to decipher what race is supposed to be what nation. Do you have a list that specifies what represents what? Pure awesomeness. Duly bookmarked, mine are in the wings awaiting similar treatment !